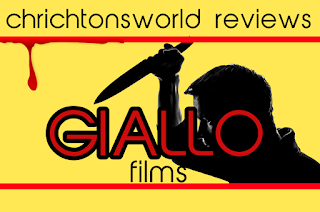 Chrichton's World: Review Suspiria (1977): The first in the Three Mothers trilogy! Review Suspiria (1977): The first in the Three Mothers trilogy! 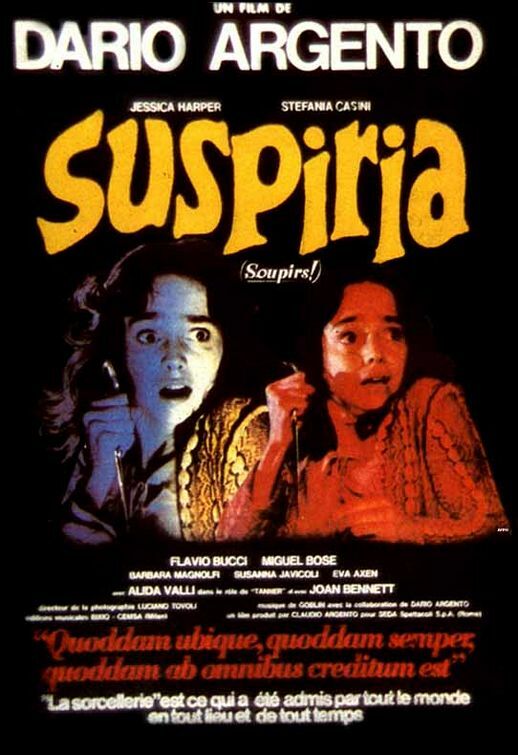 Before I start with the review there seems to be some debate whether Suspiria is a giallo or not. If you compare it to most titles then Suspiria definitely is not typical. Still apart from the supernatural elements everything else is so giallo. For the most part Suspiria is a mystery or thriller where you don't know quite what is going on and it can be argued that not everything is what it seems. It is very possible that whatever we see on the screen is not real at all and someone could make a case that there is a logical explanation for everything. With that out the way let me start with my review. Suspiria was a title I hear mentioned a lot of times when someone was discussing good horror films but somehow I never felt compelled to watch it. Then I saw the main character Juno mention it in the film with the same titlte and she was claiming it was THE scariest horror film in existence. Naturally such claims had to be investigated. Suspiria definitely has something about it that makes it super creepy and eerie. Especially the first time the terror is super strong. However once you find out what is going on it loses the fright and isn't terrifying at all. Although I think most horror films are less compelling on multiple viewings since the surprise element is gone. Still Suspiria does offer something to chew on if you are willing to. Right from the start when the main character Suzy Bannion (Jessica Harper) makes her entrance you can sense something weird is going on. That she is being watched. If you are oblivious to this fact the soundtrack composed and performed by Goblin makes sure you are haunted. Normally the soundtrack just adds to an already scary event. Here the soundtrack is an event itself. But this brings me to the events themselves. Don't worry not going to spoil anything. If you go in with the expectation to be terrified out of your mind then you are going to be disappointed. Even with all the love and goodwill I can acknowledge that Suspiria is incredibly flawed. It has some real pacing issues and main character Suzy Bannion is not fleshed out as much. Actually most of the characters you only get to know very superficially and you aren't really allowed to make up your own mind about them. That is real problematic if you are looking for psychological terror instead of the supernatural one. It would not have been an issue if the supernatural elements were more impressive and spectacular. Argento's use of colour and special camera techniques certainly help but the dread is not always convincing. That being said there is a whole lot of charm to this film. I like how unnerving it can be (on the first viewing) and that you are constantly looking in the background to see if something is there. Then there is the surrealism where everything is too damn colourful and you begin to wonder whether you truly can trust your eyes. Will this film be for everyone? No, I can say that with conviction. 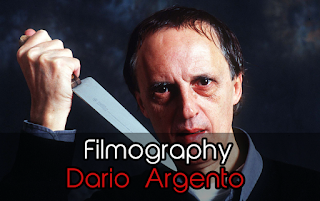 For me this is one of the best Dario Argento has made and is vastly superior to let's say The Lords of Salem that dealt with similar themes.